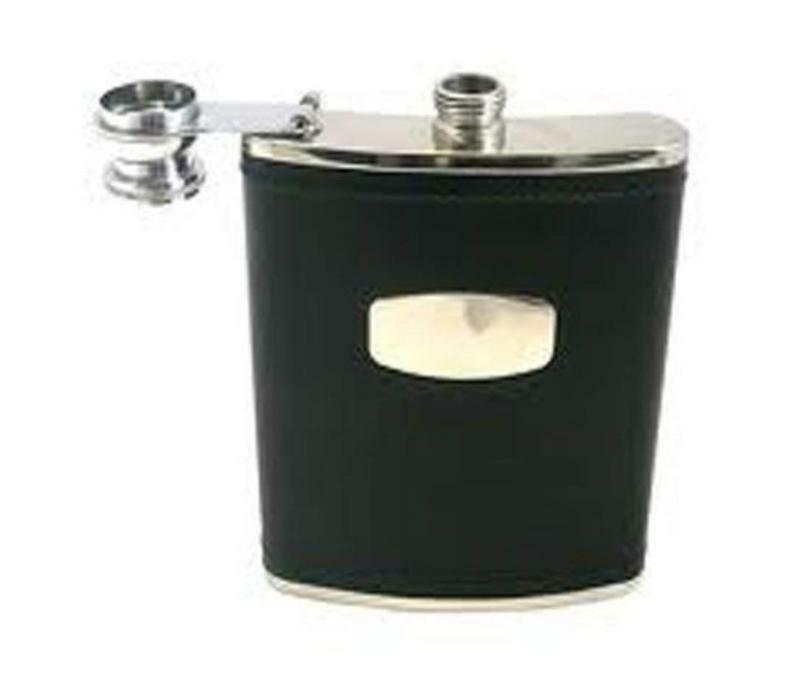 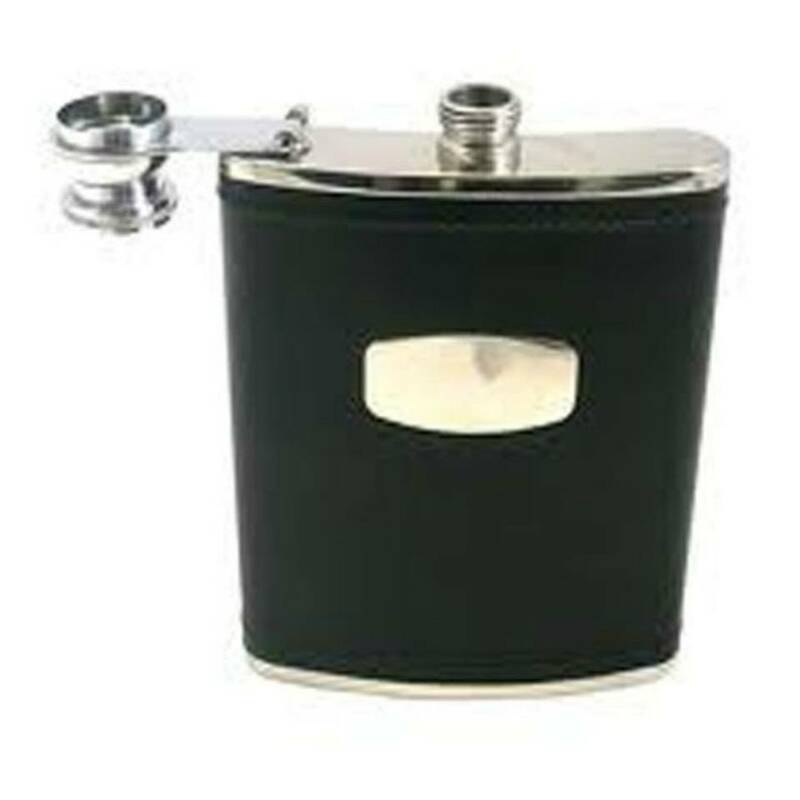 The ideal gift for the discerning gentleman, this 6oz hip flask is made in the UK from the highest quality stainless steel then bound with luxurious black leather. 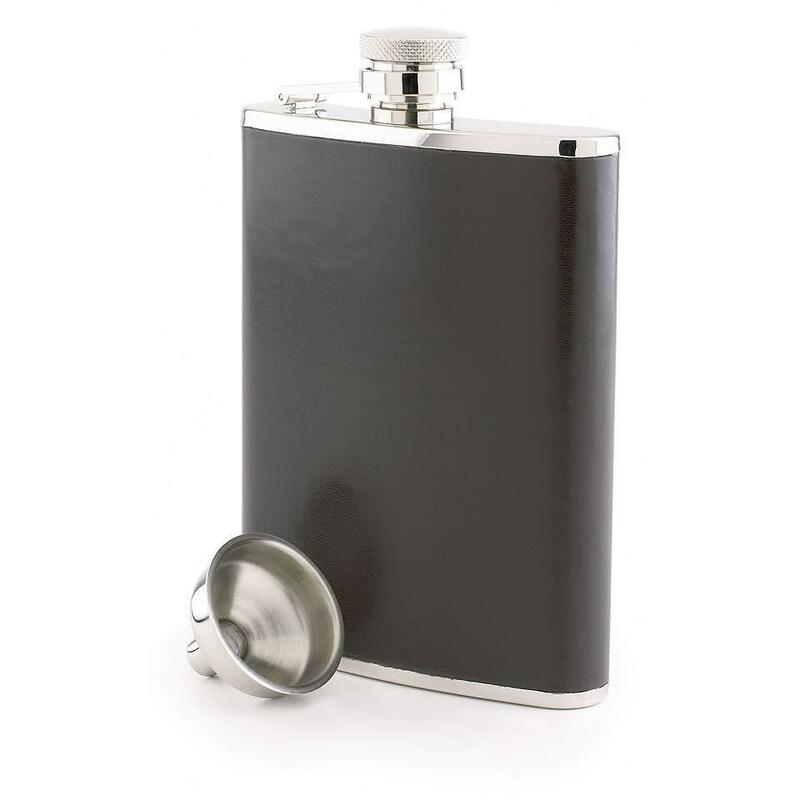 The screw top is fixed to a flexible hinge to prevent it being lost while on-the-go. Perfectly sized top slip into your pocket, this hip flask has ample capacity for a days shooting or fishing and comes with a handy stainless steel funnel for easy filling.